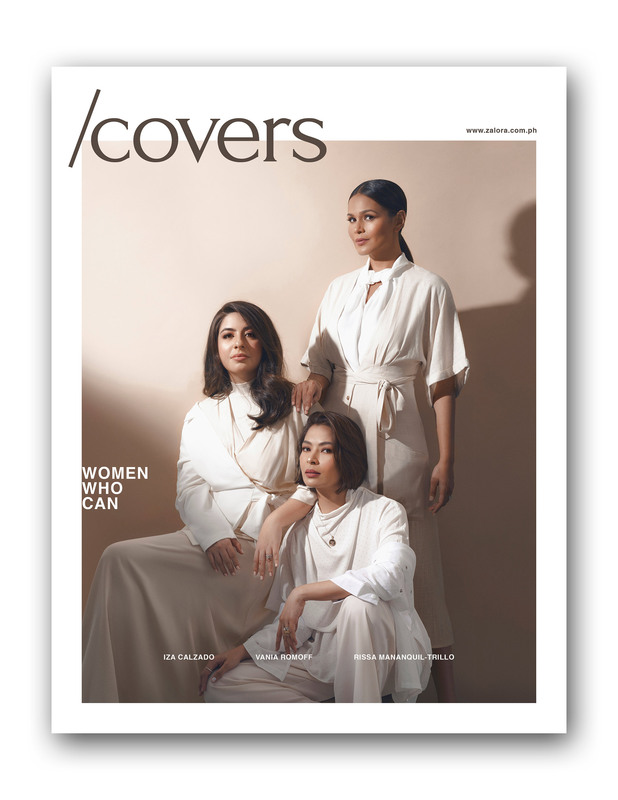 Three exceptional trailblazers front ZALORA’s International Women’s Month cover. This March, /covers, our very own e-magazine, celebrates three inspiring, empowered, and stylish women in our International Women’s Day issue. We bring together Rissa Mananquil-Trillo, founder and Chief Brand Officer of local cosmetics brand Happy Skin; Vania Romoff, the youngest Filipino designer to be recognized as a Metrowear Icon, and Iza Calzado, one of the most iconic actresses of her generation and an influential spokesperson for self-love and body positivity—women who can. It’s Iza Calzado’s moment—and we’re not even talking about showbiz (she’s long made her mark in the industry). Iza, a decades-long advocate of body positivity even before co-helming the She Talks Asia movement, now lives in a world that’s slowly realizing that beauty comes in all shapes and sizes. Today, Iza leading the wave of personalities who stir the conversation towards self-love, addressing misconceptions about being the “perfect version of yourself,” and making peace with food and one’s own body. On March 16, She Talks Asia will hold its third summit entitled We Are Enough, aimed towards “strengthening self-worth, nurturing healthy relationships and overcoming barriers for personal success.” Her newly-minted position as Head of Public Relations for the organization and its grassroots movement, Bloom, allows her to spread this message further, using her unique position as an influential media personality to create ripples of change with the She Talks Asia platform. This position has made her grow in ways she never thought possible. “I never thought I’d be part of something like this—I thought I would be an actress forever. With [this role], I feel like I am constantly growing.” While she admits that the body positivity movement has a long way to go, Iza is slowly seeing light seep through the cracks. “Filipinas are more open to body positivity now—they are more empowered.” We can’t help but think she’s a significant part in making that happen. Little Emilia Füglister says that her mother, Vania Romoff, "designs dresses for queens and princesses." 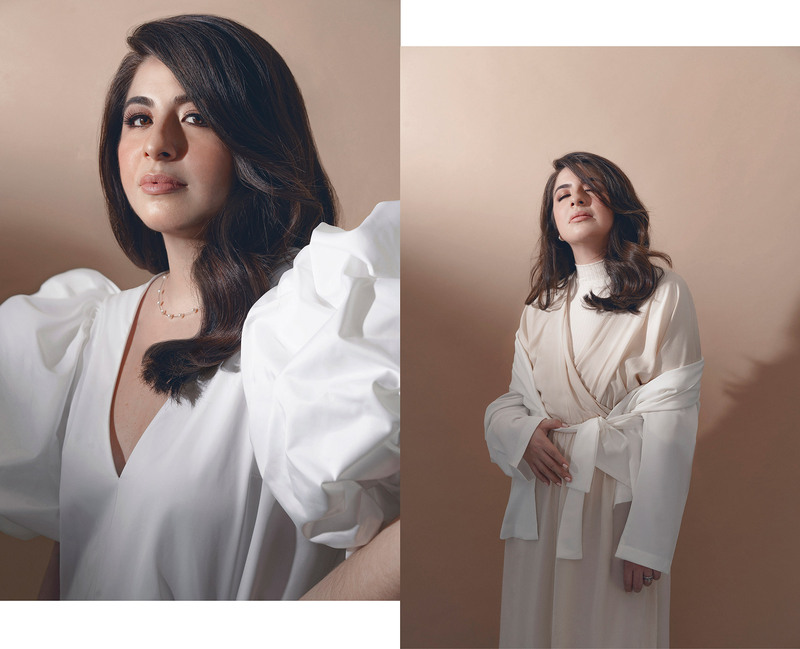 In a way, Vania Romoff herself has been living a modern version of a princess tale: fulfilling her dream of becoming a fashion designer, building her own company, and inspiring her daughter along the way. Perhaps one thing evident from the countless gowns that Atelier Vania Romoff produces every season is that its namesake designer never runs out of inspiration. Her mood board features diverse women known for their distinct personas: fiery Bianca Jagger, unapologetic Slim Keith, and Princess Diana, who redefined the meaning of royalty at every turn. In Vania's own turf, she is both leader and colleague. She says: "[The people in my team] are an extension of me and we empower each other through our shared passion. Most of the girls working for me are as young as I am, and we work in a casual, inclusive and creative environment where we encourage growth through shared ideas." Deliberately feminine, Vania's dreamlike creations are overt celebrations of womanhood: "We are all queens in our own way...as a woman, it is possible to do what you love and be respected for it. The world is limitless for women." What Vania does is create modern fairytales, and it's enchanting to see them unfold. Rissa Mananquil-Trillo is a stalwart of insight and depth into what is considered a looks-driven industry. Co-founding local makeup brand Happy Skin, Rissa approached the business not so much with an aesthetic approach to beauty than with an understanding of the transformative power of makeup in women's lives. On its sixth year, Happy Skin is now creator to almost 500 different beauty products, including collaborations with big players such as Disney to actress Kathryn Bernardo—but the brand's skin-nourishing benefits remains to be its touchstone. Rissa says, "the role of makeup in a woman’s life is enhancing who they are and giving them the confidence to believe in what they can be." Rissa herself has been a testament to this: raising a son while at the summit of the modeling world, Rissa was the longest standing president of the Professional Models Association of the Philippines (PMAP), where she mentored fellow models and advocated protection, fair pay and professional treatment for young women in the industry. Now, as a busy mother of two girls and the owner of a phenomenal makeup brand largely credited to having revitalized the local cosmetics industry, Rissa—whose current wardrobe of choice consists of "whatever I can put on inside a moving car”—is a source of inspiration to a much wider audience of women: her children, aspiring models, future entrepreneurs, and the thousands of girls who have Happy Skin in their kits. When asked if she's afraid of competition in the local cosmetics industry, she answers again with mind-blowing makeup biz insight: "At the end of the day, you don't have to succeed by killing competition. You succeed by creating value."